Gold painted styrofoam bars. 200mm x 100mm x 70mm. 2 layers of gold coloured paint applied. 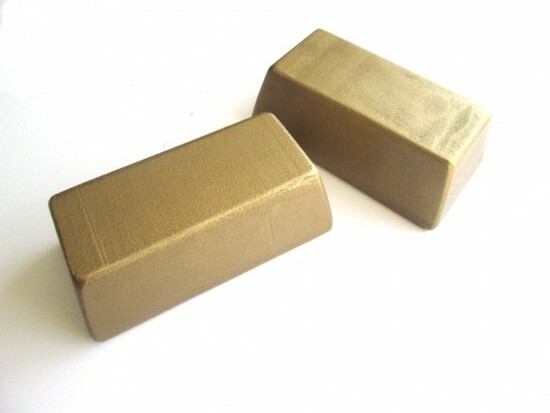 Gold bars made from gold painted styrofoam, image taken outside under natural sun light. 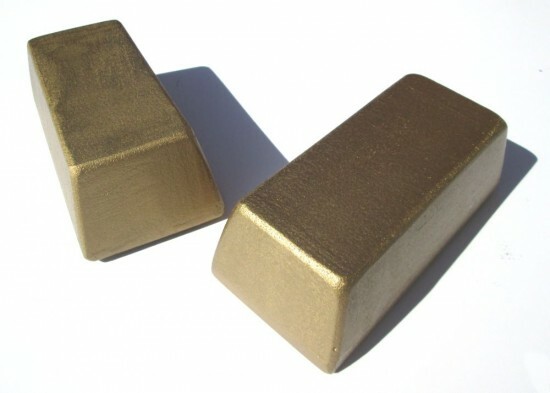 Gold Bars made from gold painted styrofoam, image taken under artificial light in an office environment.